UEFA started the inaugural edition of the UEFA Nations League from this year primarily as the replacement for the international matches of the FIFA annual calendar. The main tournament is divided into four leagues from A to D, each having at least 12 member countries of UEFA. The ‘League A’ consists of top 12 teams according to their latest UEFA coefficient. The group phase of the ‘League A’ is already over and the final phase will start from June 2019. Four top teams of each group of ‘League A’ i.e. 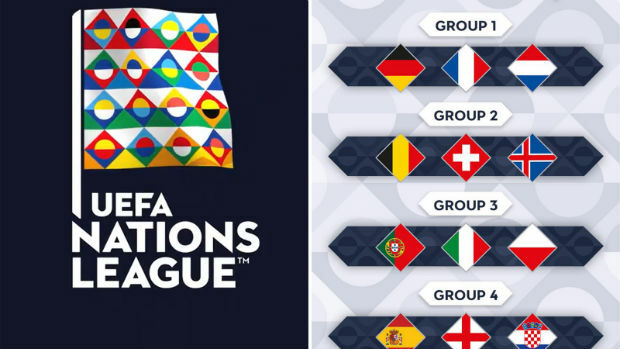 Netherlands, Switzerland, Portugal, and England will participate in the UEFA Nations League Finals from 5th to 9th June 2019. On the other hand, four lowest-scoring nations of each group of ‘League A’ i.e. Germany, Iceland, Poland, and Croatia faced relegation this year and will participate in ‘League B’ in the next edition of the UEFA Nations League. And, here goes the detailed standing of ‘League A’ as of the beginning of the final round. UEFA decided 12 participating teams of this season’s Nations League as per their UEFA national team coefficients. They took the account of coefficients of the countries till the conclusion of the 2018 FIFA World Cup qualifiers. They then divided 12 nations into three seeding pots according to their rankings as of 11th October 2017. UEFA then publicly announced the seeding pots on 7th December 2017.